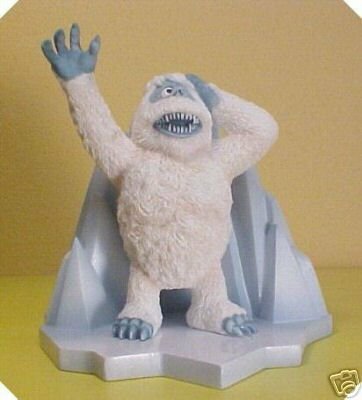 Bumble the Abominable Snowman tries to keep his feet atop a slippery iceberg. A beloved character from the Christmas classic, Rudolph, The Red-Nosed Reindeer! Resin. 4 3/4 inches x 4 3/4 inches x 4 3/4 inches high.